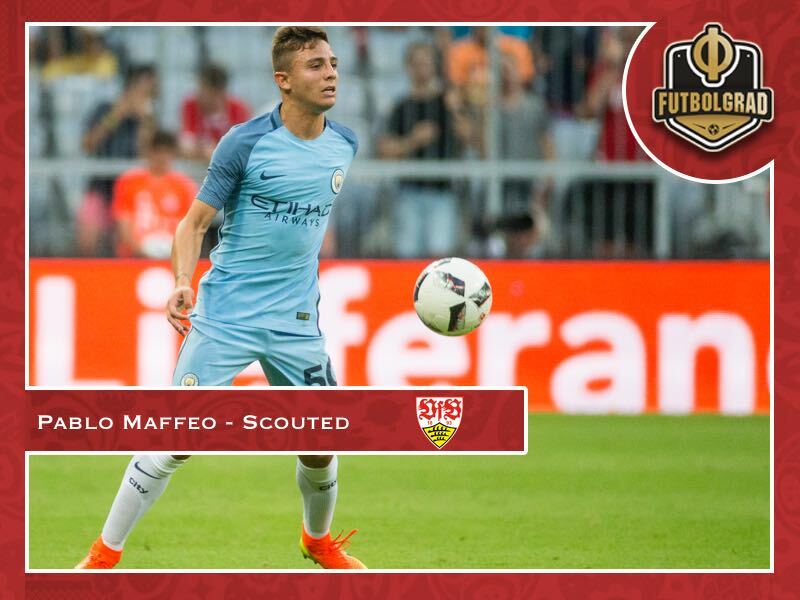 A large proportion of Manchester City fans were perhaps left somewhat surprised this week as the club confirmed the permanent sale of up and coming right back Pablo Maffeo to VfB Stuttgart on a deal reported to be in the figure of €9 million. Maffeo, a defender that has been on Manchester City’s books since 2013 after swapping Cataluña for the blue half of Manchester, has admittedly struggled for first-team opportunities at his parent club. Consequently, the young Spaniard had been forced to further develop and apply his trade elsewhere, returning to his native Spain in the past two seasons to turn out for Girona – a permanent fixture in both the club’s promotion-winning Segunda side and regular starting XI which has surprised so many during the latest league campaign. Yet as passive observers from afar, it can be very easy to attribute a team’s good form as a direct result of the influence of hot prospects such as Maffeo that have joined the club in recent years. This in many ways could be a major factor to just why there are so many City fans scratching their heads, questioning the departure of one of La Liga’s greatest talents in recent years. Clearly whilst Manchester City view Maffeo’s future away from the Etihad Stadium, rumours during the past six months have suggested that the 20-year-old wouldn’t be short of suitors should he leave Guardiola’s side. Therefore, it comes as no real surprise that before long, somebody would make the first move and in doing so, VfB Stuttgart have taken a risk, albeit calculated, in grabbing one of the most hyped up young Spanish fullbacks in recent seasons. 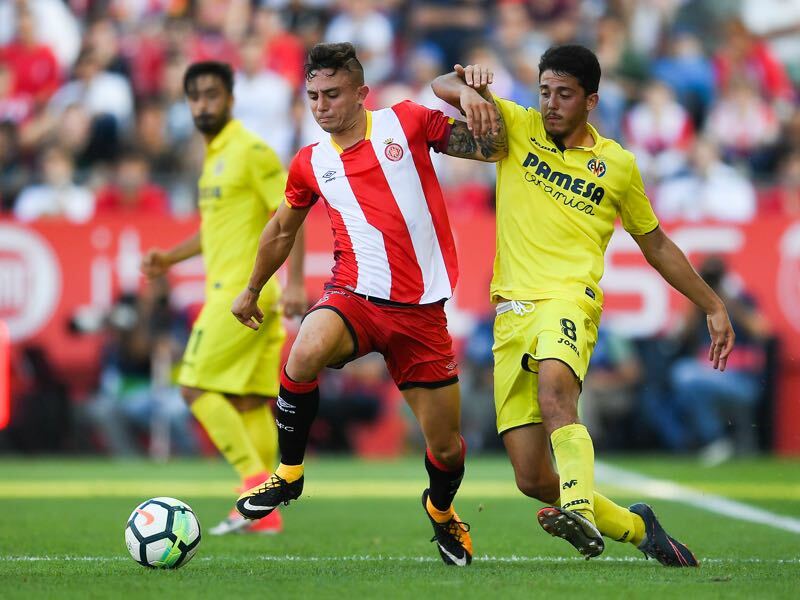 So, what is it that Girona fans and Stuttgart as a club have perhaps seen in Pablo Maffeo that Manchester City have not? What can the Spanish U21 national offer on the pitch and most importantly, does he justify his price tag at such a young age? From a Girona supporters’ perspective, Maffeo has been one of the club’s most improved and highest performers in the past eighteen months. 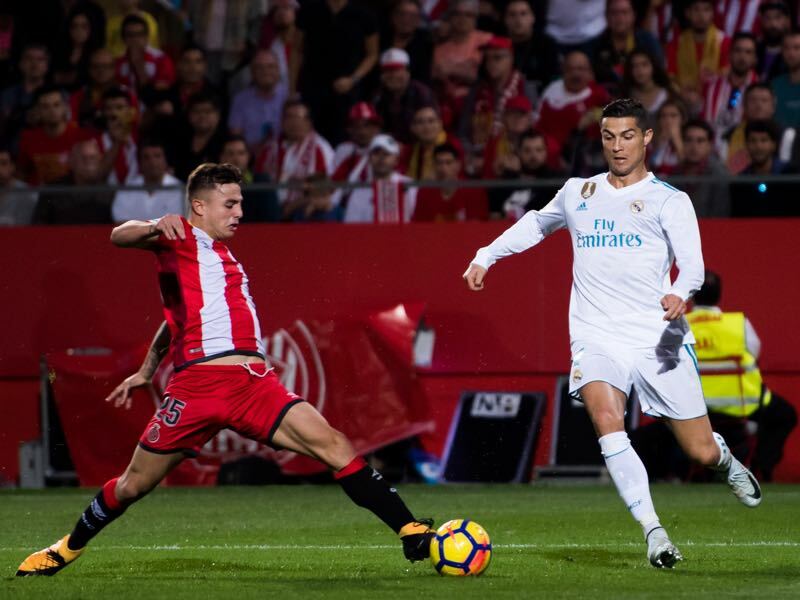 A marauding right back that is as unafraid of putting a tackle in as much as he is fearless going forward, Girona fans have often praised Maffeo for his high energy levels and determination to keep up the pace with wingers of any quality in La Liga. Although Maffeo rightfully earned praise for his impressive man-marking displays against Cristiano Ronaldo and Lionel Messi during the early part of the 2017/18 season, the former City star has continually been able to defend resolutely throughout the course of the season. Comfortable on the right-hand flank of either a back three or as part of a more traditional defensive four, Maffeo often uses his pace to push forward and alongside fellow full-back, Johan Mojica, have been decisive to the majority goals scored by Girona this season. Whilst Maffeo perhaps doesn’t rank as highly as he should do in terms of assist, although there is some room for improvement on his final ball into the box, both his willingness to create goal scoring opportunities from the wing by using his pace to create the space to supply a killer ball, should, therefore, be noted and has proved a key part of Maffeo’s game. At a reported €9 million, it is fair to say that such a price tag is widely considered as pocket money in today’s market and will most likely prove to be a good bit of business by the Bundesliga side. Likewise if he is able to recapture the early season good form which has admittedly tailed off somewhat towards the end of the season, possibly down to a mixture of fatigue and Girona already guaranteeing La Liga safety following the Easter break, it wouldn’t be out of the realms of possibility for Stuttgart to double their money on the young full-back in next few seasons. The question that remains, however, is whether Maffeo can now push on and fulfil his potential which Manchester City were clearly unable to see at such a young age. Adam Selby is the owner of the @GironaUK account. Sergey Ignashevich – Could Cherchesov’s gamble pay off?